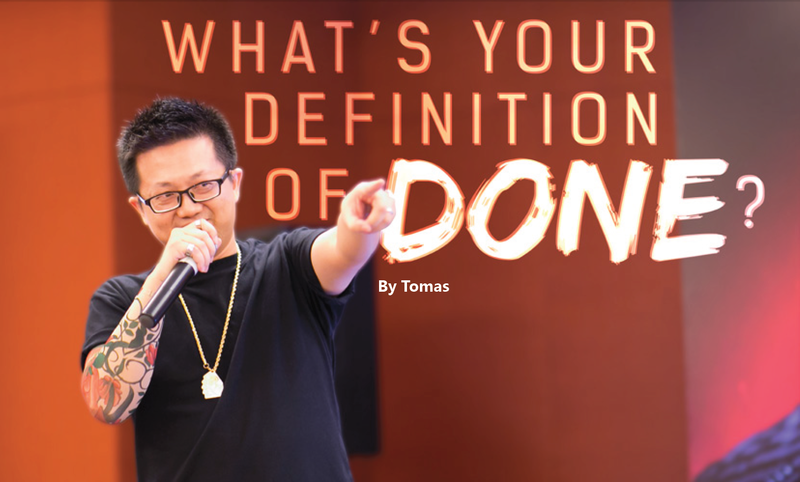 What’s Your Definition of Done? 2014 has been an eventful and fruitful year for us. We tried many new things, and we learned many more. I’m sure many of us will always remember the keywords such as “Agile”, “Scrum” and “WIG” we’ve heard many times during the past year. For me personally, I remembered most strongly about a story that happened in 2014. No matter what your job role requires of you. Be it programming, design, HR, whatever. For every task and item you work hard to complete every day. Are you just fulfilling your Definition of Done? For me then, “done” means going through the list of books and acknowledging them. But did that bring any value to my members, our products and more importantly our users? of Done you have decided for each small thing you do every day. Are they important? NO. It’s the product’s Definition of Done that is important. It is about the quality and value of what we do. Not the things we complete. So I will end this article with that wish. That we will all discover and understand the Definition of Done for our products and the value it brings to Titansoft, our people, our stakeholders and lastly, our users. This entry was posted in Titansoft Culture and tagged Agile, excuses, objective, value on July 16, 2015 by ZhaoXin.